Just so you know, this post is over a year old… as you read it, know that any prices/dates/hours displayed here may no longer be correct. For the most accurate information head over to our home page for hours and then select different offerrings from the home page for specific information around those things. Balloon Dude Travis will be here this Saturday. Unfortunately, as we all know, schedules have a way of not meshing as well as we would like them to. Thus far none of the things that we were planning for this past weekend have been able to reschedule for various reasons. 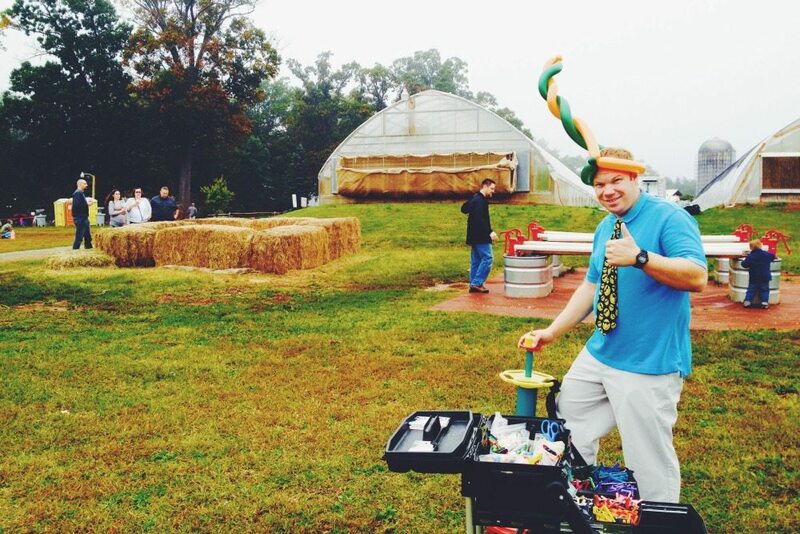 However, we will have Balloon Dude Travis here to twist balloons from 10:30 a.m. – 1:30 p.m. this Saturday (October 15, 2016). So, as things have worked out this time, besides Balloon Dude Travis we will simply have our regular Fall Season activities this weekend. Note – details can be found right over here. Hours this week (And through the rest of October) are like this. Thursday 3 p.m. till 7 p.m.
Friday and Saturday 10 a.m. till 10 p.m.